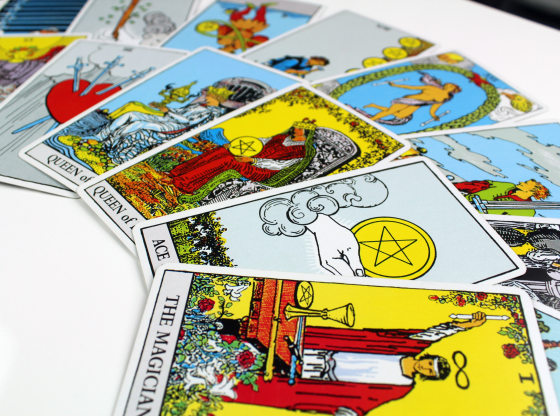 Three Tarot cards have been drawn to forecast the week ahead. 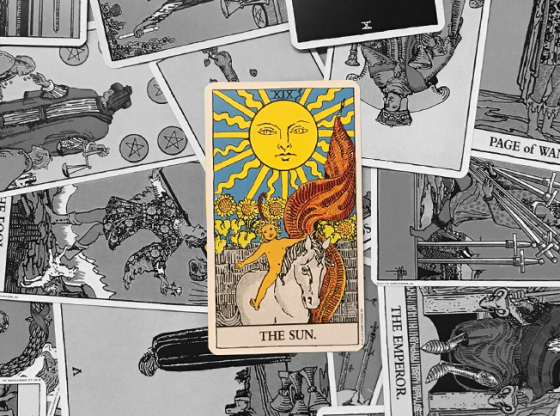 The present position is the Seven of Cups, representing October 1 and the weekend ahead. 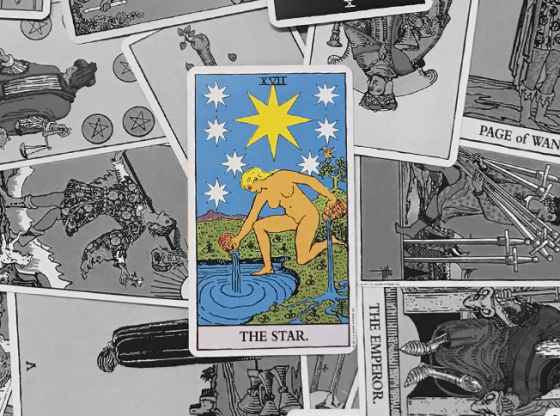 In the past position, the Six of Pentacles has been pulled – this is the recent past and represents the foundation of all that we are experiencing in the present. 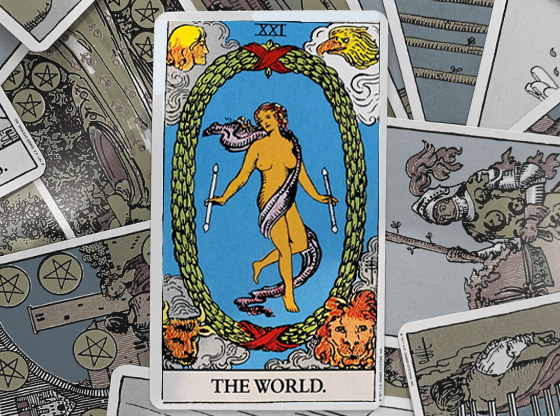 In the future position is the Fool card. This card looms as an indicator of what is coming later in the workweek. 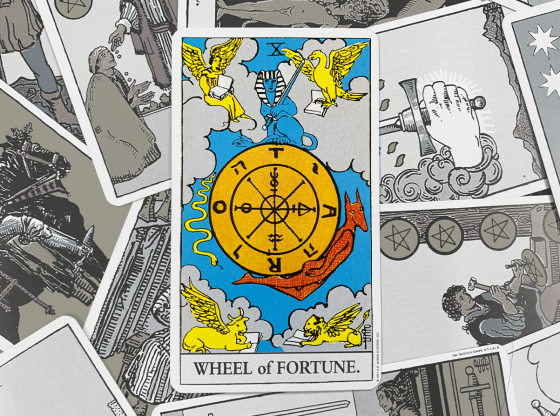 The Six of Pentacles is one of the Tarot’s most powerful cards indicating free will, and one where a path that is chosen seems to be suddenly inescapable. Your recent past features a moment when you could have been the person giving or receiving. If you were stingy and held out for something out of greed or “just doing business,” you may be stuck in the role now of begging for a little piece of the action. But if you were generous and gave out some of what you had, you have suddenly been put into a leadership position for which you are well situated. Looking at where you are now clearly requires you to understand where recent decisions have put you and how firm the ground on which you stand is because of this position. Are you left begging for what you want because a recent decision based in greed backfired? Are you currently looking like a leader because you were willing to give from what you had to help move a tense situation toward closure? The more recent this impactful behavior occurred, the more intense your response to it can be in the present. The Six of Pentacles pictures beggars receiving the largesse of a man of means. 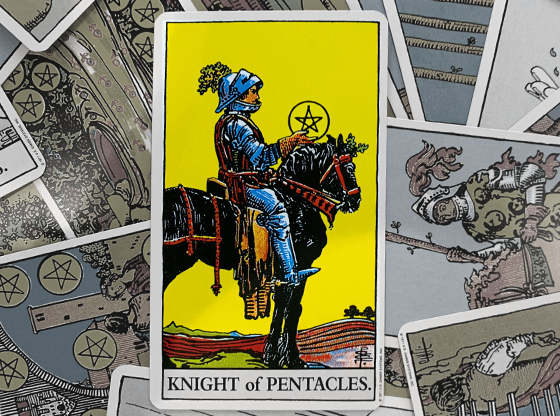 Pentacles are the Tarot’s cards that rule the material plane, so financial and economic decisions are weighing heavily on how you got to where you are now. Understanding your motivations is important. 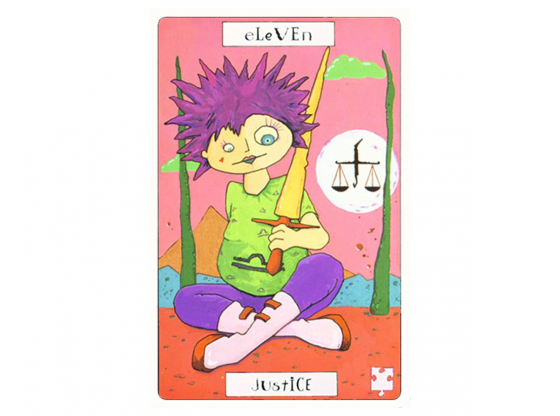 You are experiencing a little taste of karma and you might want to make a bigger leap toward bettering your situation. Look out for what the present appears to be. Friday October 1, 2010 and the weekend are considered “the present” as governed by this reading. The energy of emotions is flowing through this weekend. 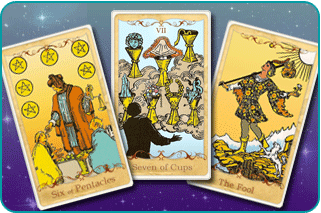 Cups represent emotions and the Seven of Cups is a card that challenges your deep emotional drives and desires. In the present position, this will be a weekend of temptation and trying to stay in check while illusions tempt and terrify you. If you are in a weakened state from a recent defeat, the chance to score a victory will appear suddenly. If you have been lonely and looking for a partner, a seductive encounter may ask you to risk falling in love. The critical link in all of the possible scenarios occurring this weekend is your ability to discern between illusion and reality. For example, if you are looking for love, a person who is not in the realm of possibility in regard to dating you will suddenly seem available. The illusion (that you have met the man of your dreams) will be greater than the truth of what is really happening (for example, that a good-looking guy is just being friendly and flirtatious to pass the time but has no long-term interest). Our emotions are complicated things and when they are on the front burner of life, we need someone there to balance the feelings with a cool, analytical rationalism. But everyone, it seems, is following impassioned pursuits regardless of the reality of the situation. This is a thrill-seeking weekend. October might end with everyone in costumes, but its first weekend will see everyone chasing dreams that are dressed up as life goals. There is one positive about the present for those reading this who are disciplined. It is especially beneficial for those whose recent past has seen a boost of confidence grow out of having successfully helped the less fortunate. Your belief in yourself is based in reality and if you overindulge in optimism about the future, the illusion can work for you. Consider a solid, well-paced goal of yours as having a great chance to accelerate in its development at the present. This is a weekend to imagine the success you want as a castle in the sand. Your vision will soon be washed away, but having constructed a sample of your goal, you will soon be able to build that castle out of stone on stable ground. 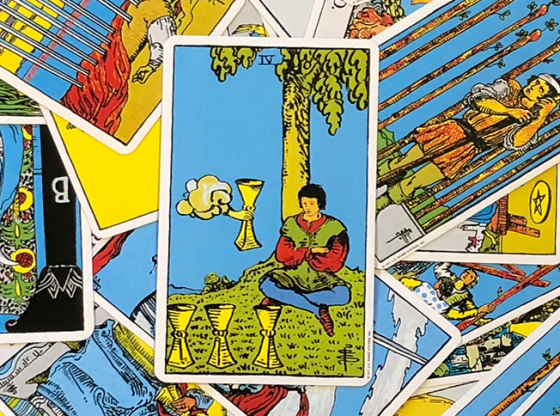 The Seven of Cups features an individual who is presented with many objects of desire, each sitting on cups, that is, metaphorically embedded in the emotional side of his or her psyche. As you follow a desire this weekend, you are setting yourself up to move on this week. You might be walking down a path doomed to failure and you might be walking toward the greatest success you have ever known. Sometimes in life, time floats by with little change occurring. The week ahead will seem casual, but you are moving swiftly on a path to a new chapter in who you are. Next week will be the culmination of the two previous cards and the time periods they describe. The ordinary constraints of life are eased as you follow something you enjoy. 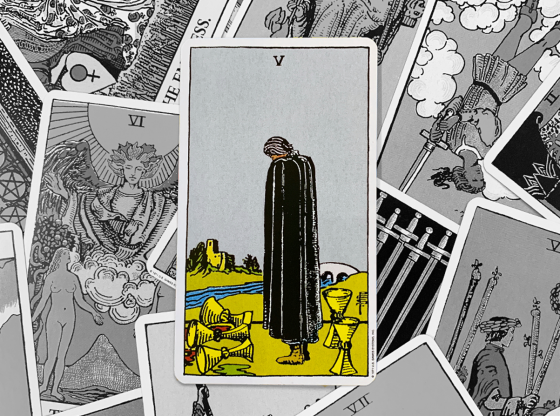 The Fool card represents next week in this reading. You might be foolish in your pursuits, but you might only be perceived as a Fool by those who cannot relate to your chosen path. The week ahead is one in which you are best served having no expectations, as your journey of emotional seeking will take many twists and turns. If you have resolved a deep desire in recent memory, the week ahead takes you to the palace of wisdom. The Fool is a card of absolute freedom and carefree spirit. The more you have to lose, the scarier this card becomes. Freedom is the ability to move in a new direction, unhindered by what you have lost or what you are wishing for. 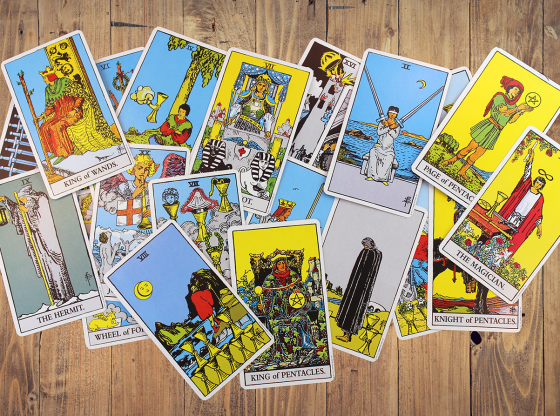 Many Tarot decks illustrate the Fool card with the character of the Fool walking off a cliff and being pulled back to safety by a small companion dog. Good things happen when the Fool is drawn, but there is no need to take a complete mental vacation. Opportunities abound when you can synthesize the lessons you have learned in the past ten days.